If your partner considers himself friendly, social or extroverted but you think it’s something more, you may be afraid that his flirting will end your relationship OR worried that you’re just being jealous (which can be bad for your relationship as well). Like Rachel, maybe you’ve also been told you are “insecure,” “possessive,” “suspicious” and “jealous.” Perhaps you’re concerned that your partner is right and you really are just making a big deal out of nothing and stifling his perfectly innocent socializing. Or maybe you are right. Despite what some people claim, flirting with other people is NOT healthy for a love relationship or marriage. It undermines trust, prevents intimacy and connection and could even lead to an affair. If your partner truly is flirting with others, this is a wake up call to look more closely at what’s going on and decide what your next best step is. But first, you need to know the difference. It’s absolutely essential that you determine whether your worries are based in facts, or if they’re rooted in jealousy. 5 signs that your partner may be flirting…. 1. Is your partner’s attention focused on one person in particular? 2. Do you see your partner touching the other person intimately or inappropriately? 3. Does the conversation between your partner and the other person involve sexual references? 4. Do you have evidence that the other person is interpreting your partner’s words or actions as a romantic or sexual invitation? 5. 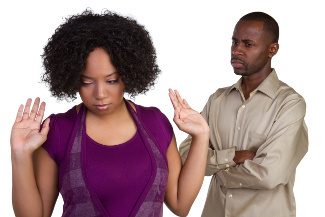 Has your partner ever threatened (even jokingly) to try to make you jealous? It is so important for you to focus on the observable facts you have. Try not to base your assessment of the situation on what you think your partner’s (or anyone else’s) “real” motivations are. Think about what is actually being said, what you can physically see and what you can verify. If you can see that jealousy is clouding your view, practice breathing and returning to the facts. This does take practice so be gentle with yourself. Find a strategy that helps you calm down and see more clearly. 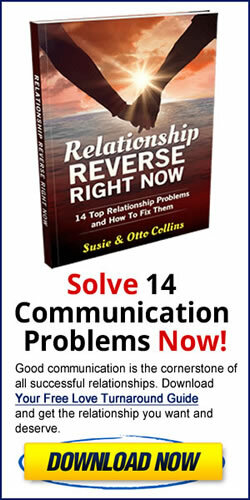 If, based on the facts, you decide that your partner is flirting, find a time to communicate with him about it. Choose a moment when you both can really focus on the conversation– it’s best not to talk in a crowded bar or at a party. Think in advance about how to say what you need to say about his flirting so that he can hear you instead of just getting defensive and shutting down. When you speak your truth about his flirting and do so with confidence, you’re more likely to be heard and understood.